Today is grey and rainy, the kind of Northwest winter day I’ll spend making a pot of bone broth while working and fighting off a cold. But this weather hasn’t been the norm lately. With apologies to our snowed-in friends on the East Coast, we’ve been getting a stretch of gorgeous, sunny weather lately, and there’s more forecast ahead after a few days of rain. January was unseasonably warm, and you’ve probably noticed bushes, trees and bulbs in flower now that normally don’t dare open their buds until at least March. Flowers aren’t the only thing popping up out of season. The warm weather’s affecting local food production as well. Wild edibles are coming up at unseasonable times. 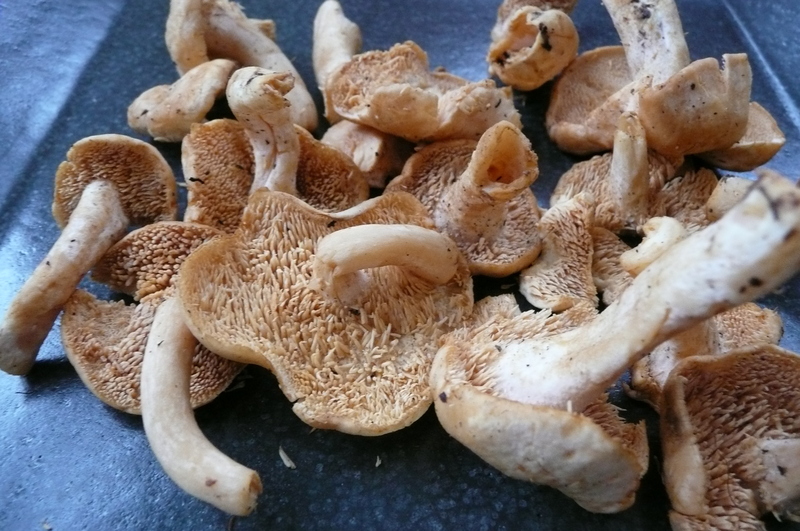 The picture above is of hedgehog mushrooms I bought from Foraged and Found at the farmers’ market. Ordinarily, they said, the mushrooms wouldn’t be up in late January and early February. Two weeks ago, I came across a patch of watercress in a stream. I’ve also been noticing grass is growing more rapidly, meaning likely higher yield from dairy farms, as well as dairy and eggs that are higher in nutrients, if the animals are out on pasture. I talked to Brandon Sheard at Sea Breeze Farm on Vashon Island about how the weather is affecting food production. 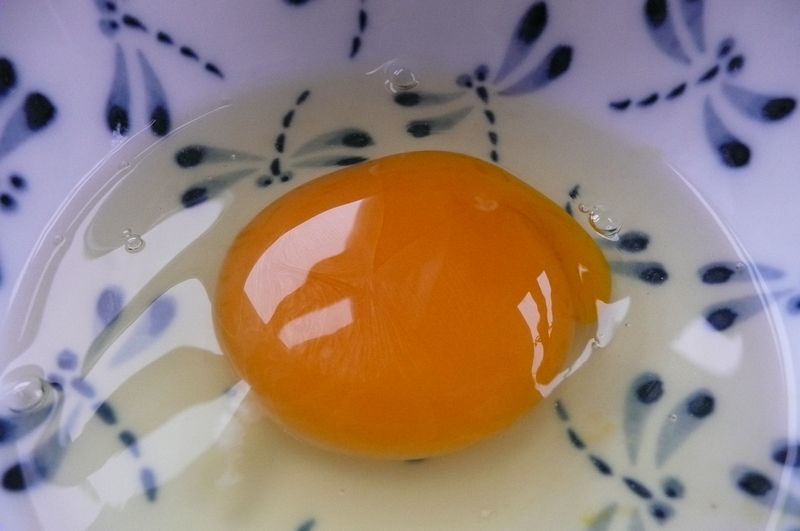 He confirmed that milk and egg production have both gone up lately, chickens will be started a little earlier, and the cream is gradually getting more yellow, a sign of higher vitamin content. In contrast with the yellow cream, he said, the milk actually starts looking bluer. Gorgeous colors (and nutrients) we don’t see much in industrialized equivalents. 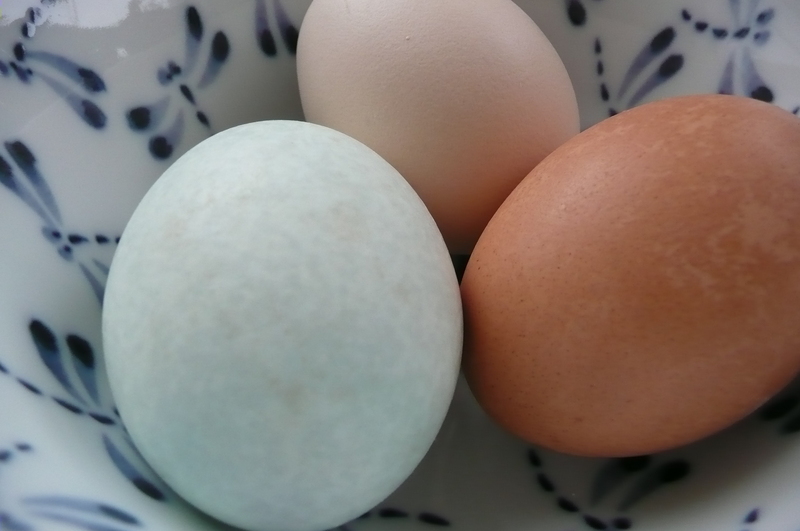 I have some beautiful city-chicken eggs from my classmate’s friend: jewel tones in a lovely egg crate.